The Peace Memorial Museum holds the exhibition that traces the building's pre-bombing trail. 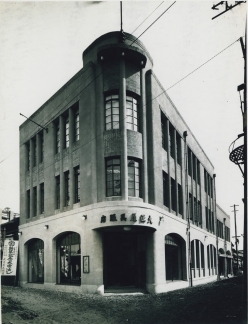 The building known as the Rest House was constructed 90 years ago in March 1929 as the Taishoya Kimono Shop. Currently, the building appears at the beginning of the smash hit animation movie “In the Corner of This World”. We introduce the history of the building from the founding of Taishoya Kimono Shop to the atomic bombing. On exhibit are over 60 related photos.